Clearwater, FL, June 22, 2017 – Ayanna Plastics & Engineering, Inc., a creative solutions-driven injection molding company, announced that it has recently purchased a new injection-molding press machine. With the addition of the new press, Ayanna Plastics now has injection-molding presses ranging in size from 50 tons to 400 tons, giving them the capability to serve a wide variety of markets and industries. About Ayanna Plastics & Engineering, Inc.
Ayanna Plastics & Engineering, Inc. is a plastics injection molding company established in 2001 that focuses on it’s core manufacturing strengths of mold design, mold building, and part production. Our strategy allows us to offer globally competitive prices, which reduces the risks of sourcing offshore for our customers. We provide unparalleled, expert and technically advanced results for customers in the evolving and demanding world of plastic injection molding. Using emerging technologies, industry leading equipment and diverse raw material suppliers, our highly skilled team can accept the challenge of even the most complicated products. We have the knowledge, experience, and facilities to build products that meet the unique needs of customers in virtually every industry. We understand the unique needs of many industries and are able to combine that collective experience and knowledge to offer customers solutions that may not be a standard approach. Ayanna serves a diverse and growing listing of industries including medical, industrial, consumer, aerospace, marine, and defense. 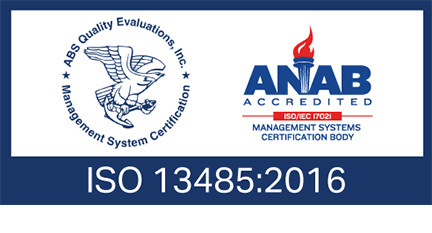 Clearwater, FL, June 19, 2017 – Ayanna Plastics & Engineering, Inc., a creative solutions-driven injection molding company, recently announced that it has received ISO 13485:2003 certification. The International Organization for Standardization (ISO) is the world’s largest developer and publisher of international standards for the implementation of quality management systems. ISO 13485:2003 requires a manufacturer to demonstrate a comprehensive and compliant quality management system suitable for the design and manufacturing of medical devices. 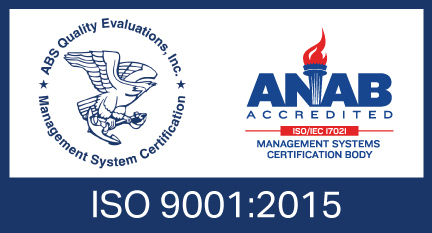 This achievement indicates that Ayanna Plastics & Engineering, Inc. meets the highest standards required of quality management in the medical industry of medical devices. Ayanna Plastics & Engineering was recently named as one of the Plastics News’ Best Places to Work. This program was created by Plastics News and Best Companies Group. Clearwater, Florida March 11, 2015 - This survey and awards program was designed to identify, recognize, and honor the best employers in the plastics industry, benefiting the economy, workforce, and businesses in the United States and Canada. The list is made up of 10 companies. Companies from across the United States and Canada entered the two-part survey process to determine the Plastics News’ Best Places to Work. The first part consisted of evaluating each nominated company's workplace policies, practices, philosophy, systems, and demographics. The second part consisted of an employee survey to measure the employee experience. The combined scores determined the top companies and the final ranking. Best Companies Group managed the overall registration and survey process, analyzed the data, and determined the final rankings. Plastics News honored all the winners and revealed the final rankings in a special ceremony at the Plastics News Executive Forum on February 4 at the Hilton Lake Las Vegas Resort & Spa in NV. The actual rankings were published on February 23, 2015, by Plastics News. Tammy Redmond 727-561-4329 | tammy@ayannaplastics.com.